Get a $1,900+ Photography Business Bundle for $87. That’s 95% OFF. The biggest photography event of the year is happening right now! I’d be remiss not to tell you about it. Keep reading for the scoop. Every year my friends at 5DayDeal put on what I personally consider to be the biggest, most exciting photography education event of the year. This year they’ve added three more exclusive bundles and their first 5-day event is happening right now! The short version is, you get $1,900 in photography business and marketing resources for $87 – that’s a savings of 95%. This year they’ve got products from top industry voices like David duChemin, Trey Ratcliff, Serge Ramelli, Joel Grimes, Rachel Brenke (The Lawtog), PLUS Salesographer, Joy of Marketing and a ton more! In fact, they’ve included over 27 products from more than 22 contributors! 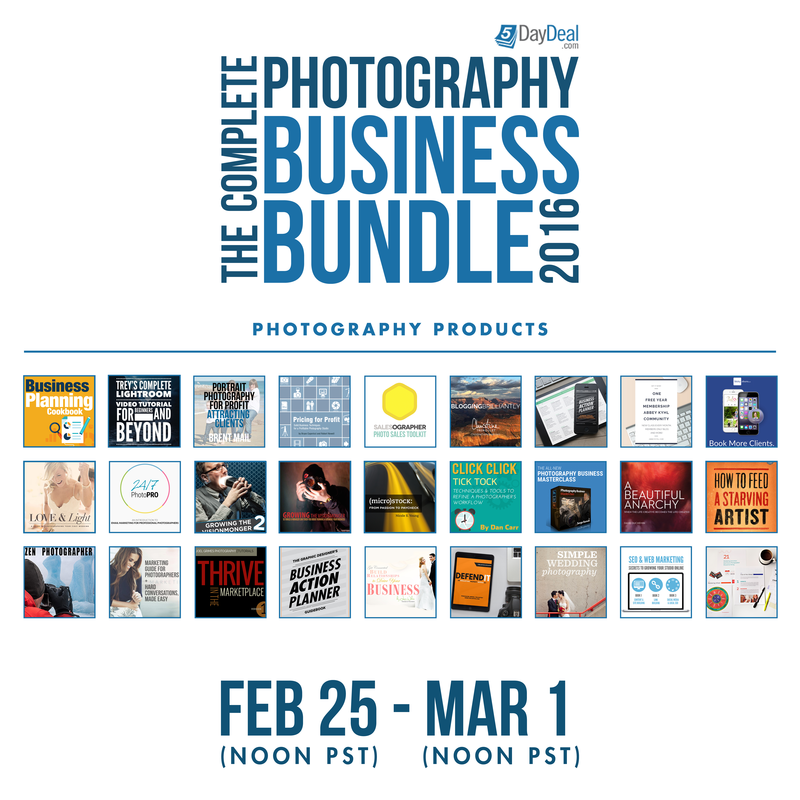 When you buy The Complete Photography Business Bundle at 5DayDeal.com, you get dozens of super high-quality business-building products. It is the third time I have bought a 5DayDeal and so far they have all been awesome!!! I am in my first year of business and all the help is always welcome. I will dive in to this content as soon as possible and hope to reap the benefits before this summer. Thank you 5DayDeal team and all the contributors for this great content!! I bought the 5DayDeal bundle last year and it has been my bible ever since. I execute a variety of different photography catered to different people. I’ve learnt so much by amazing professionals. It is so diverse that when when approached by a new client to shoot something different, I know I can learn with this bundle. Excited for the next one! The last bundle I got was the “Complete Photography Bundle III”. What I loved the most about it was the diversity of materials. All the photographer-instructors were very clear and took time to explain what they were doing. Now that I watched’em all and practiced along the knowledge I got, I can absolutely state I’m a better photographer. I enjoyed the last 5DayDeal you had! Got some great educational pieces! The Lightroom courses were very helpful and I love the Coles Classroom Newborn Workshop. I’m still referring back to this great resource and continuing to learn. I have now started my own photography business can credit the 5DayDeal to one of my jumpstart measures to get it going! Thanks! I’m always looking forward to the 5DayDeal for great discounts on tutorials and photography resources. When I was first starting out with photography the bundles offered by 5DayDeal helped me a lot as they combined different categories in their tutorials and resources which helped me a lot in learning the basics and understanding different types of photography better. It would have been very expensive to purchase all of them separately and the content was enough to keep me busy for months. I’ve never been disappointed by the quality of the bundles! Just, Simply, Awesome resources. I am waiting for the next part. 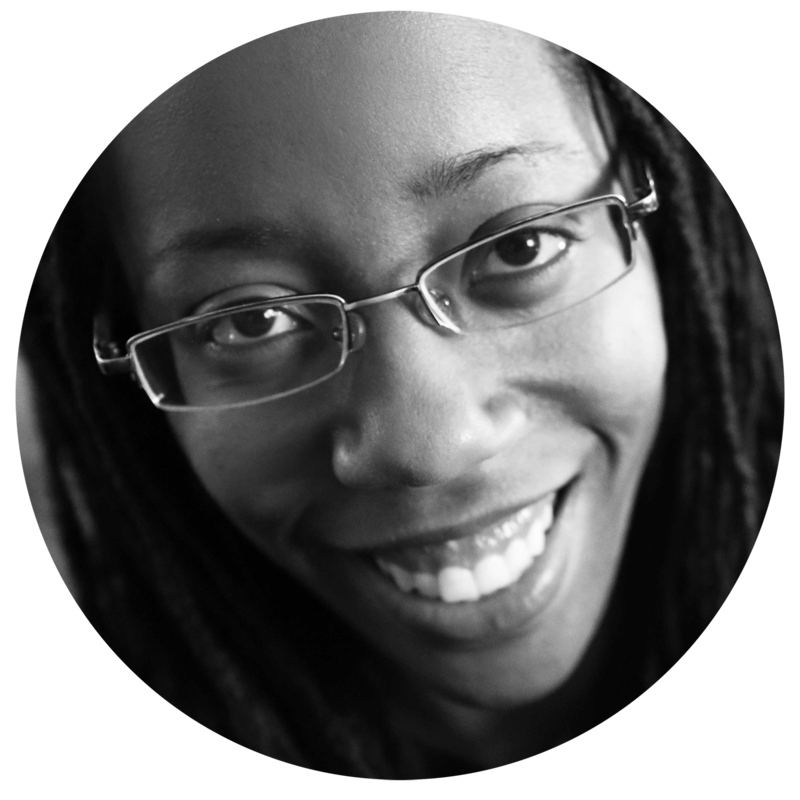 My small business is in dire need of more clients and the help I receive is a welcome resource. I can’t wait to put these ideas to good use. It is such a pleasure to be connected to a site with real life examples and suggestions so graciously offered. I was introduced to the 5 Day Deal last year through David Duchemin and at first I thought “this sounds too good to be true” but I trust David so I made the modest investment in the deal. I was not disappointed… the deal included a wealth of information and learnings that I am sure I will reference well into the future. I look forward to seeing what this year’s deal includes! I got the 5DayDeal a couple of years ago and it was amazing. My photography reference library grew 10,000 percent and I still haven’t been through it all. Plus it helps some great causes and so what is not to love. Seriously, this is a great deal, a great resource, and a great way to support good causes. Over $1,900 worth of products to be exact. Now you see why I consider it to be the most exciting photography business event of the year.